A rope crossing, spanning a deep gorge, tyrolean traversing is an exciting activity, which you will want to do again and again. 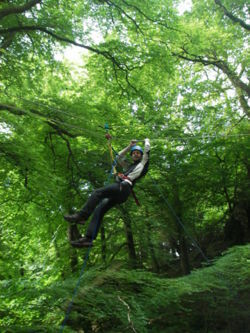 You will be kitted out with a harness and a helmet then attached to 2 ropes using a series of pulleys. Once over the edge and dangling under the ropes your team members will help to pull you across. 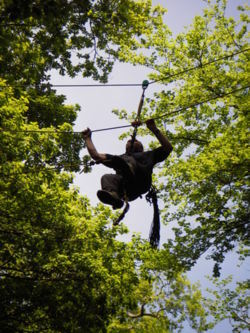 The tyrolean is a great outdoors adventure activity as team challenge or incorporated into a full day along with a gorge scramble for stag and hen parties. 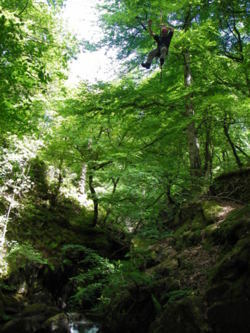 many Tyrolean traverse venues within easy reach of Lancashire, including Chorley, Preston, Blackburn, Bolton, Chorley, Rivington, Anglezarke and Manchester and in Cumbria, particularly around the North, South, East and the West Lake District areas, for example Coniston, Ambleside, Windermere, Keswick, Hawkshead, Kendal, Bowness, Ullswater to name just a few. 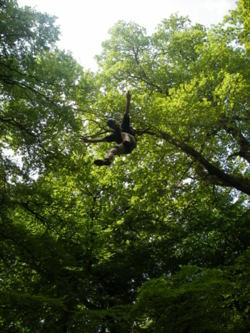 To view some of our tyrolean traverse pictures please click here tyrolean images.